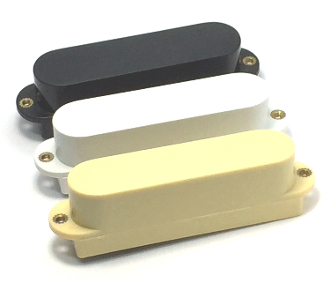 These pickups are interchangeable and can work in any position to give you flexible installation and play options. Includes Quik-Connect 3-Pin style wire leads and battery clip for easier installation (soldering required). Enjoy a slick, sleek and clean look with these covered style pickups for a modern appearance without any exposed poles or rails. ACTIVE pickups require a 9v battery (not included). For high-end performance, we recommend using 25K pots and 0.1 tone caps (available separately).